In June a young lady named Abby set up a lemonade stand outside of Robbinsville, NC, with a very specific goal in mind. She had outgrown her kayak and wanted to raise money to purchase her dream boat, a Dagger Axiom. So amidst a Cheoah River release, which we have to admit is a great business strategy, she put up her stand and got to work. Blue Ridge Outdoors magazine wrote an article about her efforts, and the support came flowing in. 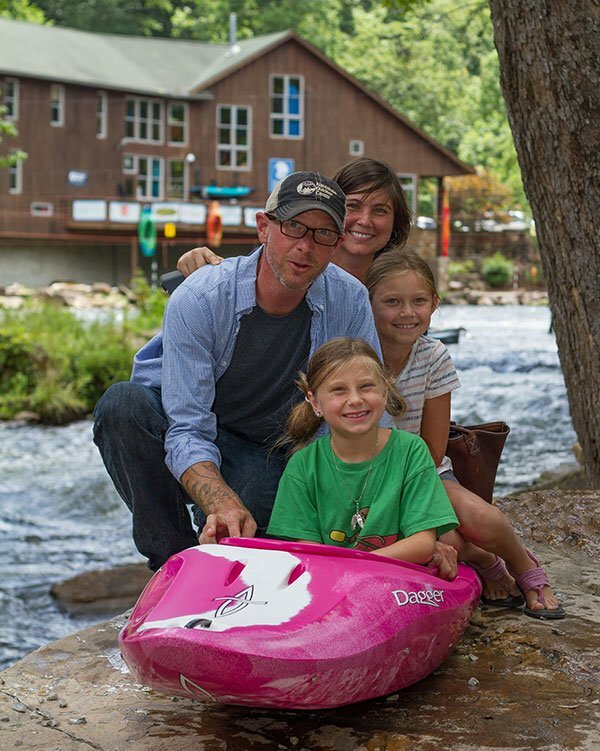 NOC and Dagger partnered up to surprise Abby on her birthday with a pink Dagger Axiom, her dream kayak. It was presented by Adriene Levknecht, one of the world’s top pro female kayakers who was named 2012 Female Paddler of the Year. Even with all the excitement of a bright summer day Abby’s smile lit up the area. 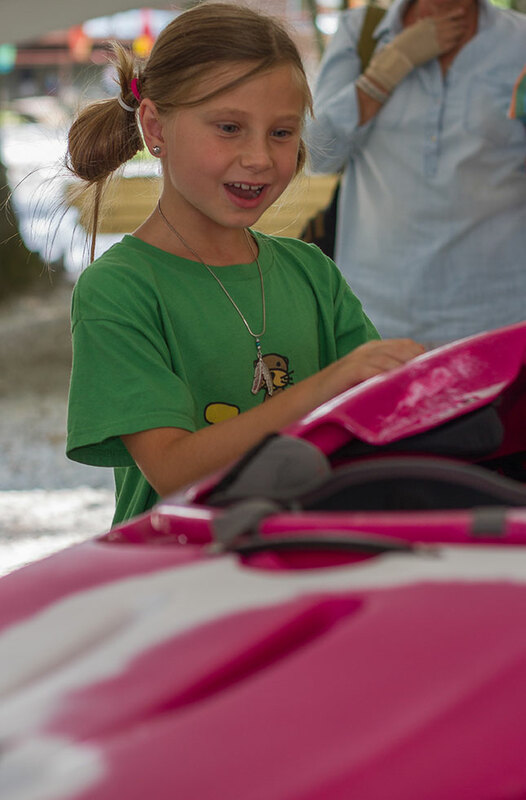 Abby said the pink kayak was the exact color she wanted and added, “This is way better than my old boat, thank you sooooo much!” She even made the paper! 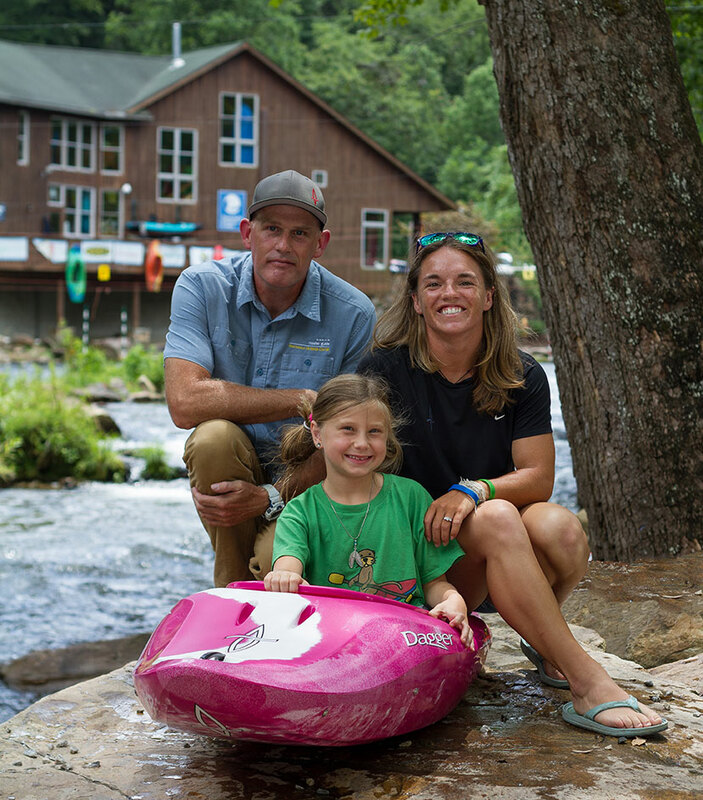 With the Junior Olympics starting this weekend at the Nantahala River, we are reminded how important youth paddling programs are for enriching the lives of young river runners. NOC and the Nantahala Racing Club (NRC) both have youth programs available. To learn more about NOC’s youth courses click here. NRC, founded in 1989, is a collaboration of members who are whitewater athletes, volunteers and enthusiasts. NRC encourages connections with the outdoors, promotes continuous self-improvement and empowers youth participants to expand their horizons. Find out how to get your child involved with the NRC here.